Inside the BRZ, you'll find supportive seating and approachable technology that helps you stay informed, entertained and connected. BRZ Limited with Black Leather and Alcantara®. Performance-design Seats The ideal sports car driving experience starts in the driver's seat, and that’s why the BRZ comes equipped with performance-design front seats with deep bolsters and available Alcantara® inserts. Designed to help keep the driver planted when cornering, the seats of the BRZ are mounted low for an even lower center of gravity, further enhancing handling and responsiveness. 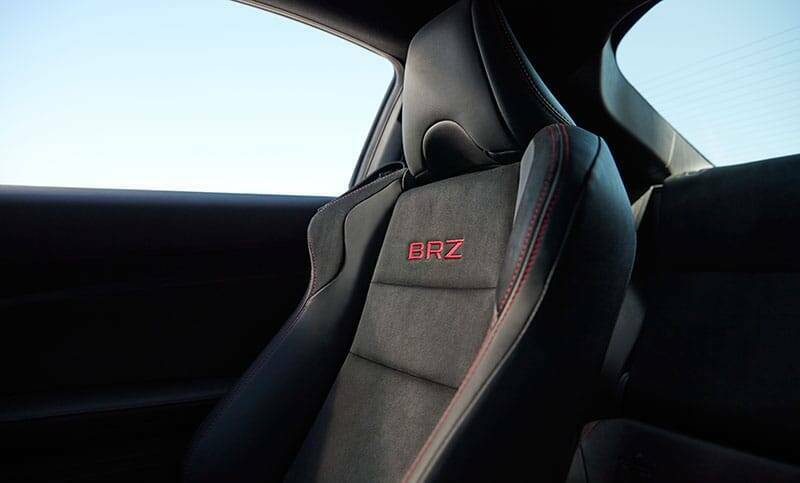 BRZ Limited performance-design front seats with Black Leather and Alcantara®. 9 as well as news, music and podcasts. Also standard are new steering wheel-mounted controls, the clear sounds of HD Radio® and SiriusXM® Satellite Radio10 so you can always hear your soundtrack, no matter where the road takes you." 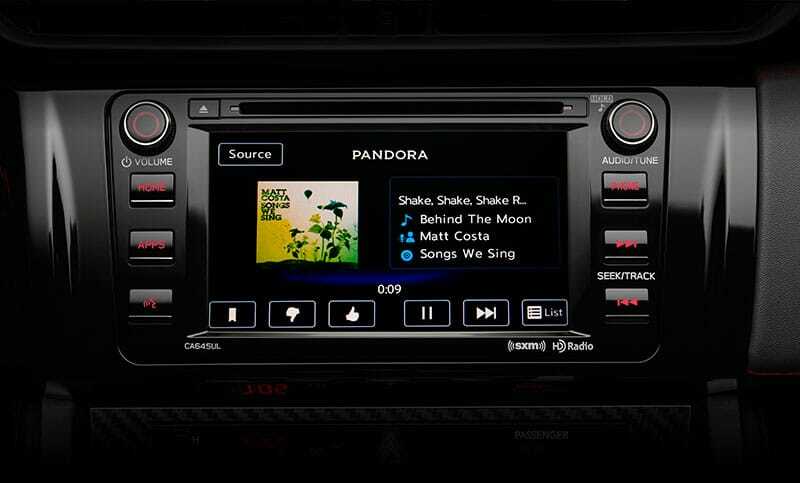 tag="Interior Features-Features_Audio System Interior"> 8-speaker Audio System Standard equipment on every BRZ, the SUBARU STARLINK™ 6.2" Multimedia system allows you to connect via Bluetooth® or USB port to apps like Pandora,® iHeart® Radio, Stitcher™ and Aha™9 as well as news, music and podcasts. Also standard are new steering wheel-mounted controls, the clear sounds of HD Radio® and SiriusXM® Satellite Radio10 so you can always hear your soundtrack, no matter where the road takes you. SUBARU STARLINK™ 6.2" Multimedia system. 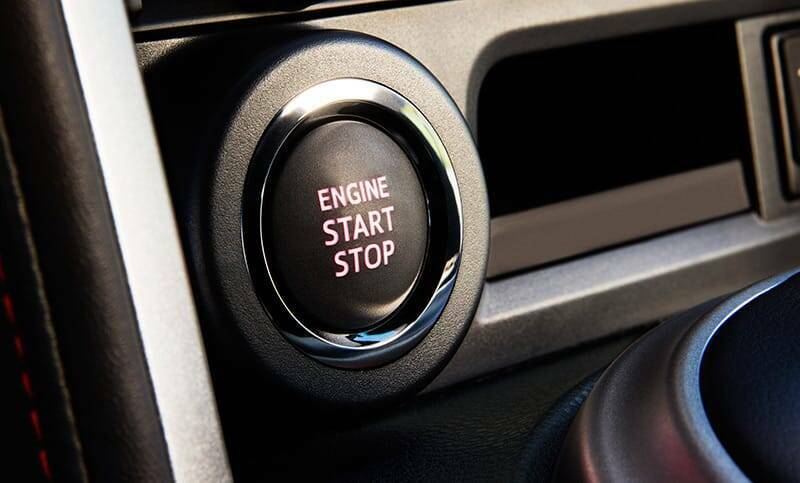 Keyless Access with Push-Button Start Few things will be quite as satisfying as walking up to your BRZ, opening the door and firing up the boxer engine, all while your key never leaves your pocket. The available Keyless Access with Push-Button Start makes it possible. BRZ Limited Keyless Access with Push-button Start. 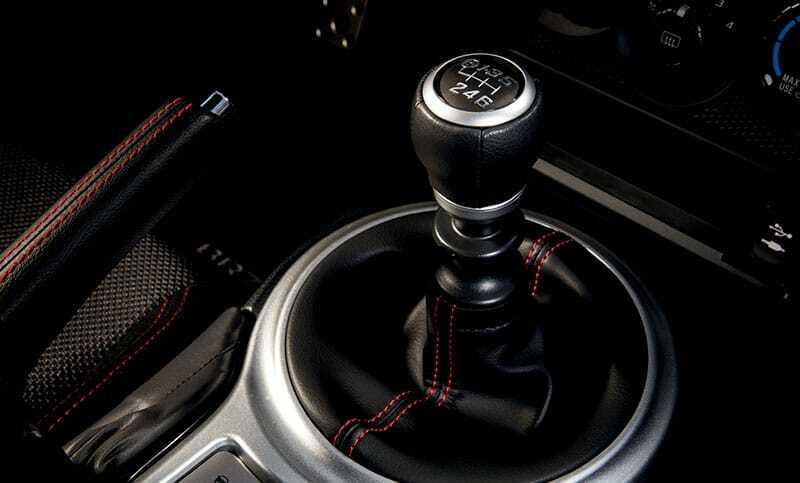 Short-throw Shifter Take control of the smooth-shifting 6-speed manual transmission by taking hold of the leather-wrapped short-throw shifter, which is placed optimally for minimized effort and maximum connection to the engine’s performance. Multifunction Display A new, available Multifunction Display lets you easily monitor your mileage, engine vitals, and new performance stats, including a G-force meter and lap timer for track days. 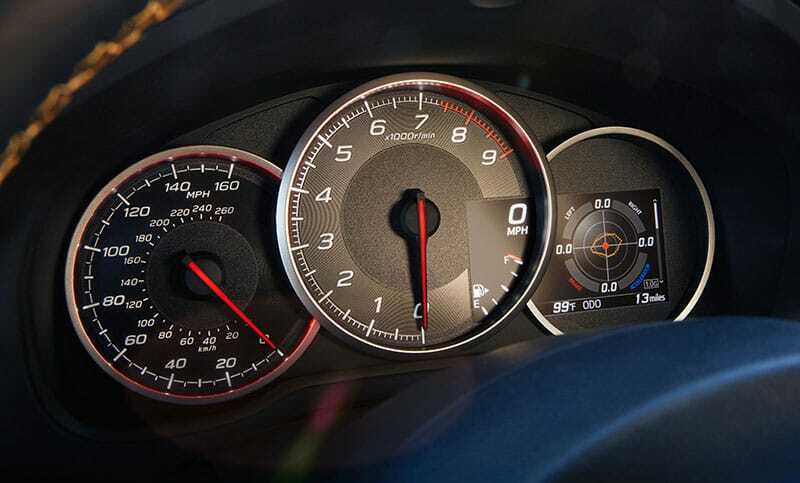 BRZ Limited and Series.Yellow performance gauges with 4.2" multifiunction display. Dual-zone Automatic Climate Control Keep you and your front passenger in personalized comfort with the available dual-zone automatic climate control system. Both the driver and front passenger can set different preferred temperatures, and the system will automatically maintain them. 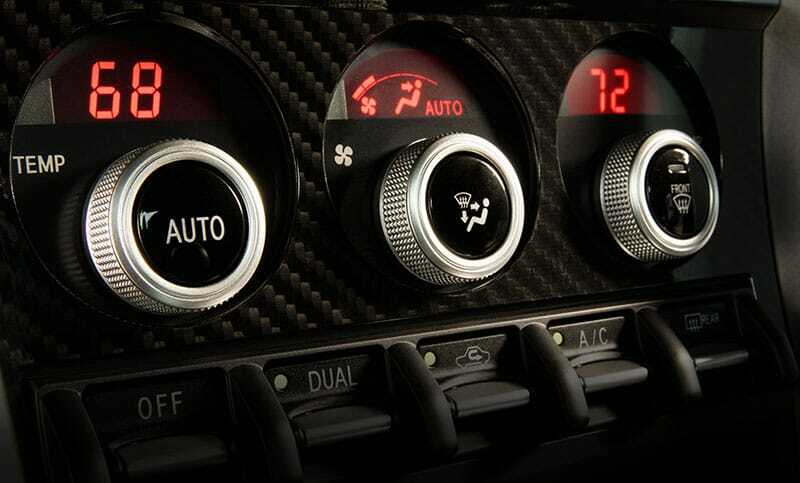 BRZ Limited and Series.Yellow dual-zone automatic climate control.